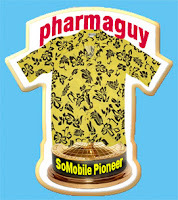 Pharma Marketing Blog: The Bayer Healthcare Grants4Apps® Team Receives the 6th Annual Pharmaguy SoMobile Pioneer Award! The Bayer Healthcare Grants4Apps® Team Receives the 6th Annual Pharmaguy SoMobile Pioneer Award! Philadelphia, PA, October 29, 2015: Today, at the ePatient Connections conference, Pharmaguy presented the 6th Annual Pharmaguy™ SoMobile Pioneer Award to Bayer HealthCare Grants4Apps (#G4A) team. The Bayer HealthCare Grants4Apps™ program invites health app developers to submit their innovative app ideas for novel software that contributes to improving health outcomes or pharmaceutical processes. Bayer HealthCare considers an "App" as software solution based on any platform. The program offers dedicated office space for five digital health startups to support them in further advancing their projects and business models. Each startup receives up to 50,000 Euros. Bayer offers experienced managers as coaches to the startups, in addition to intensive mentoring by external entrepreneurs. What is the Pharmaguy SoMobile Pioneer Award? 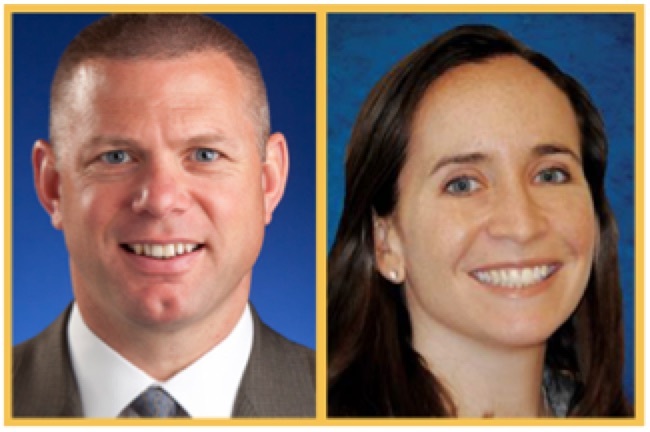 Since 2010, the Pharmaguy™ Social Media Pioneer Award -- the coveted bright yellow Hawaiian shirt -- has recognized a pharmaceutical executive or team who has "pioneered" in the use of social media for marketing, research, or corporate communications purposes. Now in its 6th year, Mobile pioneers will also be recognized. 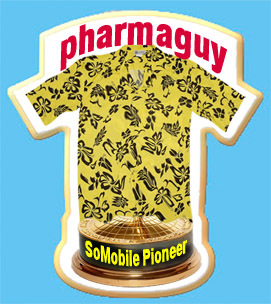 Rather than recognizing specific campaigns, the Pharmaguy™ SoMobile Pioneer Award gives kudos to a pharmaceutical executive or team who has "pioneered" in the use of social media and/or mobile for marketing, research, patient support, or corporate communications purposes. Pioneers overcame many obstacles to launch social media and mobile projects or to promote social media and mobile within their organizations. We can learn a great deal from their experiences -- even if the end result was flawed or failed to meet its goals. Marketing campaigns and Web sites come and go, but pioneers move on to new positions and continue to spread their influence far and wide. Pharmaguy recently had the privilege to speak at one of the many "meetups" organized by the Grants4Apps team in Berlin (see here). These meetups, which are now organized in different locations around the world, are a great way to bring innovative ideas into the organization. Pharmaguy also recognized the Myrbetriq® (Astellas) Advertising Partnership with RunPee App, specifically mentioning Walt Johnston, VP US Marketing, and Emily Sitrin Mason, Consumer Marketing Director, Astellas. Disclaimer: Pharmaguy received a small stipend from Bayer to partially cover travel expenses to Berlin to speak at the meetup. This is fabulous! 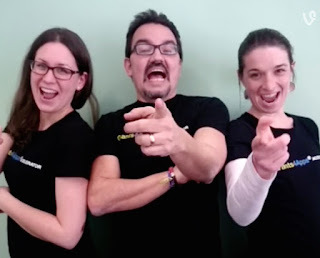 Congrats to grant4apps team.